WOW AMAZING! Thanks to all your support we reached our first goal within 5 days. 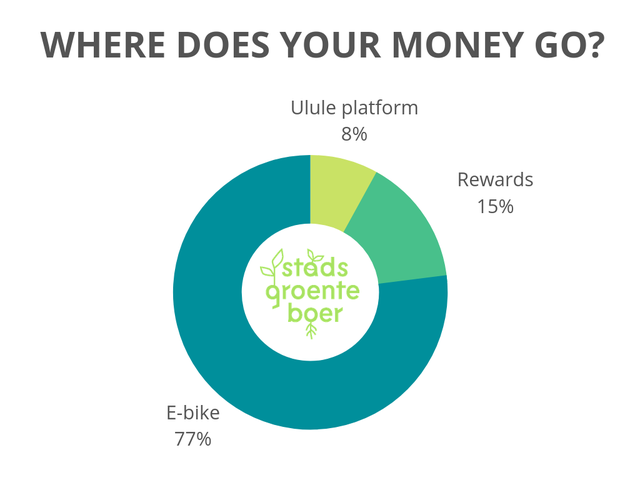 The E-cargo bike is ordered and we hope to soon send you all a picture of our new sustainable vehicle at the Stadsgroenteboer! 1. We could greatly improve our irrigation system. Many parts of the garden need to be watered by hand now which starts to take up more hours than we have to spare. 3. We could plant shrubs all along the sides of our farm as a windbreak. That wouldn't only be good for the wild life around us but would also be super useful to protect some of our more fragile crops! 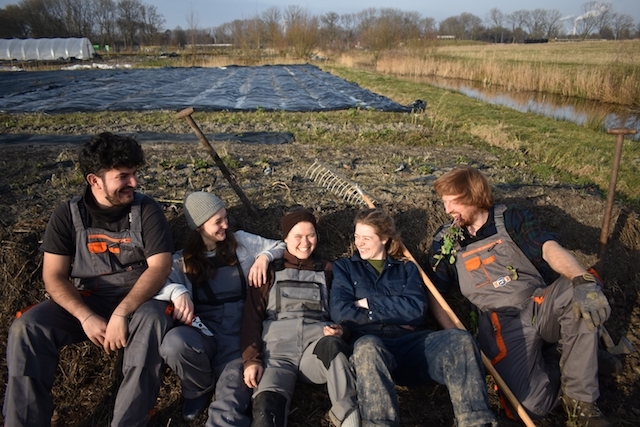 De Stadsgroenteboer is a CSA (community supported agriculture) taken over in December of 2018 by us, a handful of good friends. On our small (4000 square meter) piece of land, just outside Amsterdam, we grow tasty, healthy vegetables for 70 members. Our members sign up for a season of weekly vegetable boxes, which they can pick up at the farm or get delivered to the city. We chose for the CSA model (click here to learn more) because we believe that it is a wonderful example of an alternative sales model that actually works. We do everything to create and promote a sense of community. 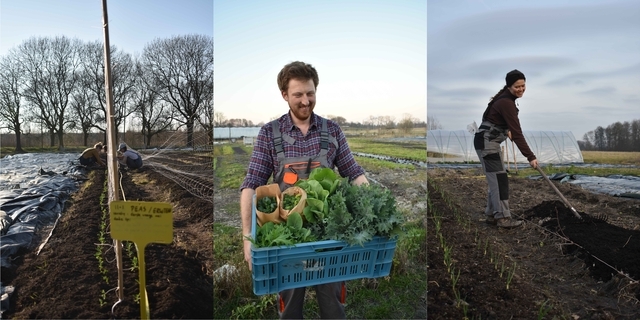 We support, respect and understand the importance of growing food locally, providing fresh and delicious vegetables produced in a nature-inclusive way. We strongly believe in the importance of keeping our soil alive, not plowing and minimizing the use of fuel-based machines. Growing vegetables that way is exciting and fun but it's also challenging and hard work. 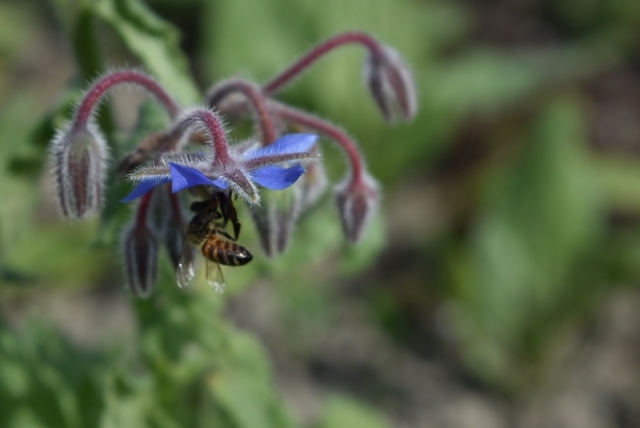 On the farm, you’ll find not only vegetables but as well plenty of herbs, edible flowers and an increasing amount of berries and other perennials to diversify our small ecosystem as much as possible. This creates food sources and nesting sites for birds, bees and other wildlife; our coworkers, pollinators and friends without whom we would be lonely and sad - and with fewer vegetables. 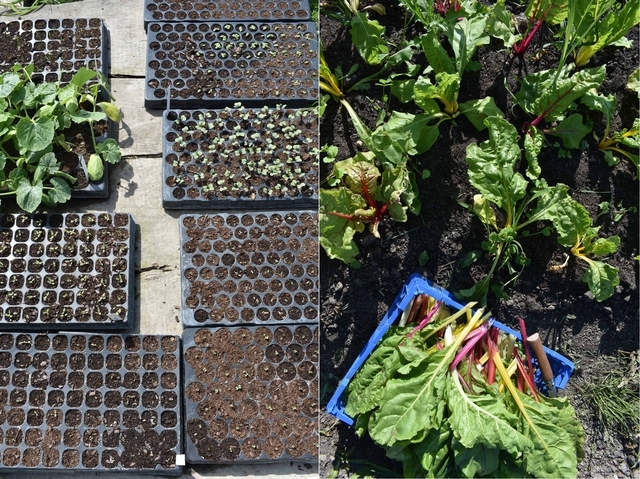 Our preparations for the season are in full swing; seeds have been sown, compost distributed and the first members are signing up. The only thing we are missing now is a way to get our veggies into town! As you might have seen in the movie, carrying the vegetables on our heads or delivering them by car is just not an exciting option for us. Fortunately we found the perfect vehicle to deliver the veggies to the citizens of Amsterdam: A heavy duty e-cargo bike! Everyone rides the bicycle in the Netherlands and so will we! By delivering by e-cargo bike, we will produce the least CO2 emissions possible, avoid traffic jams, and we can cancel our subscription at the gym. Not any cargo bike is up for the job. The guys from Radkutsche build extremely sturdy electrical cargo-bikes by hand that can be tailored to our needs as farmers. The platform of their "Musketier" model fits exactly four EPS vegetable crates. 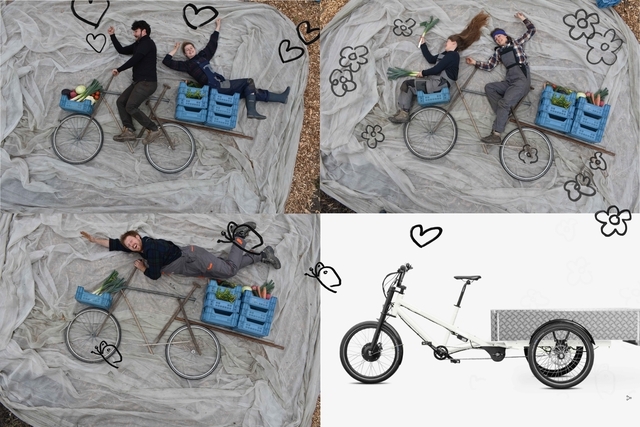 On this bike, we can easily fit 50 CSA shares at once, and thanks to their high-quality electro motor we can deliver 300 kg of vegetables, even on a very windy day. The bike will not stand around unused and eventually get rusty, no! We’ll use it to ride into town and back at least twice a week, for about 32 weeks a year. That counts up to about 1500 km per year, just to deliver the vegetables! Besides delivering vegetables, we can also transport goods from the city back to the farm. For example, we could bring back kitchen scraps from our members and collect horse manure at the neighbouring stables to feed our hungry compost pile. We are located in a large area with many green initiatives and having a cargo bike opens up many ways to collaborate with our neighbours. It is a great way to bring our farm and the whole area a bit closer to the city. A wonderful machine like this though, has its price tag. To fund the e-bike fitted with all the necessary adaptations for vegetable delivery we’ll need your support! If you help us to fund 8000 euros, we’ll be able to afford the bike that enables us to deliver our produce into town, in a sustainable, modern yet traditional way. To thank you for your support, we have been collaborating with artists from around the world that each designed a vegetable that they like in their style. We will deliver the veggies on postcards, on organic cotton bags, and as a calendar to hang on the wall. 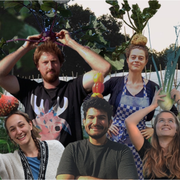 If you live close by and want to rather get a fancy dinner, join our harvest party as VIP or learn how to preserve the veggies, we would be so happy to have you join us and meet our supporters face-to-face! Here is a little taster of what could soon await you in your mailbox. We are Andres, Laura, Lisa, Julia and Milo, five friends from across the globe. We met in northern Italy where we studied at the University of Gastronomic Sciences. There we had the opportunity to learn a lot about agriculture, sustainability, food production, history, anthropology, and so many other things related to food. We were always dreaming about putting into practice what we learned and what we believe in. About four years ago, when we had dinner and a few bottles of wine, the idea, the wish for a common farm came up. We wanted to create a place where we could produce food for people in a sustainable way, reducing the carbon footprint, respecting and increasing the health of the soil and giving value to the work of the farmer, all the while doing something with our hands, down to earth, something we see importance and sense in. We continued with our studies, always having the idea of the farm in the back of our minds. 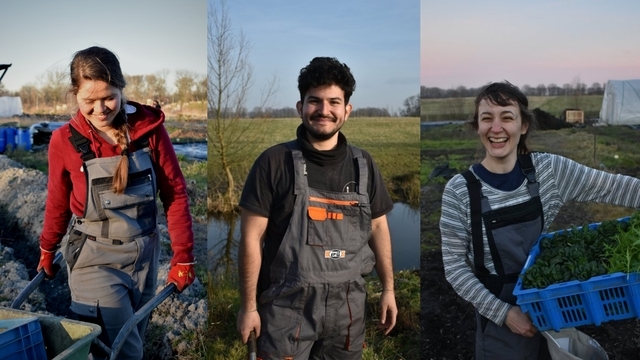 After getting our degree, all of us worked on different farms in Europe while still keeping in touch with each other. We were herding cows, curing salumi, growing vegetables, studying agriculture. We were getting ready for what was about to happen -a first project of our own- but didn't expect that it would happen so soon. Milo and Julia moved back to Amsterdam in the end of 2017. They started working on a small farm just outside the city to continue learning about nature-inclusive vegetable farming. 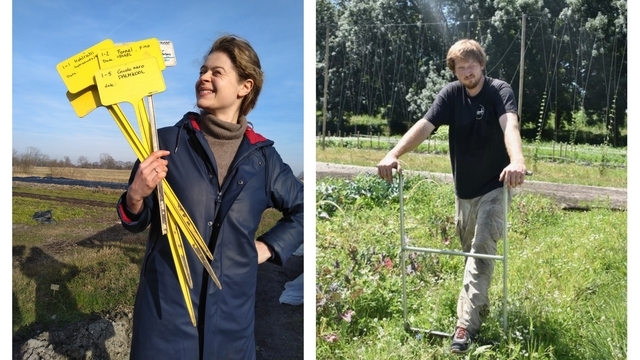 In fall 2018, the owner of that farm followed his heart and decided to move to Berlin and asked them if they would be interested in continuing the project. They immediately called the rest of the crew and together we jumped in to realize our dreams. Before we really knew it, we were vegetable farmers on a small piece of land that we could call our own. The new Stadsgroenteboeren were born. Our eternal gratitude and may the broccoli be with you! Thanks to you, we’ll resist rust and will glide on the bike as if we would smoothly ride the clouds! As a reward, we’ll send you one artist-designed vegetable postcard to your home with a personal note. Area: everywhere in the world. Only the moon is the limit. - some tiles for us! for this new reward we are trying something different we would like that you choose a picture of your preference (selfie, old pic) upload or share it with us and at the end of the campaign we will make a big collage with all the pictures, print it and then hang it in the farm, so don't loose the opportunity to be every day with us pursuing our dreams. Small, but important! Without screws, the bike would fall apart fast! 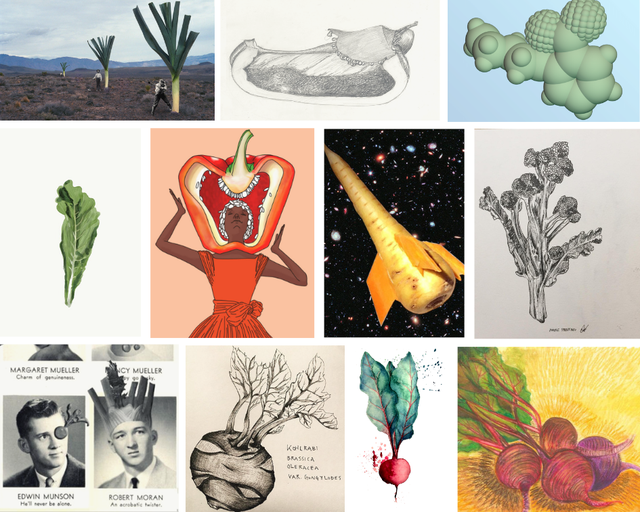 To say thank you, you’ll get a selection of 8 artist’s designed vegetable postcards sent to your home. To hang on your wall or to send to friends! Area: everywhere in the world. - some sprinkler for us! Récompense limitée, seulement 15 disponibles ! To let everyone know that we're coming! A large organic cotton screen printed tote bag is yours. Vegetable on one side, our beautiful logo on the other. - a chain link for us! Put many chain links together and form the chain to make the wheels turn! Thanks! A limited, hand & artist made Vegetable Calendar with 12 illustrations is yours, sent to your home! Sometimes, we'll have to stop at a red light. With proper brakes, we can! We want to thank you with an organic cotton screen printed tote bag filled with a loaf of freshly baked homemade sourdough bread and a small jar of homemade hot sauce from farm-grown chilies. Delivered to one of our distribution points in town. Récompense limitée, seulement 27 disponibles ! We’ll plant a berry shrub of your choice on our land. And it will carry your name tag! You'll get a personal thank you note to your home via postcard. Area: everywhere in the world! You ensure us to roll evenly on unpaved routes and get a gastronomic farm experience in return. Be part as a VIP guest on our harvest party and let yourself be surprised. You won't leave with empty hands, hungry or thirsty, promise. Time: in September on a sunny day. Récompense limitée, seulement 12 disponibles ! Thanks to you we can almost keep up with the Tour de France! This is worth a workshop for you on how to make vegetable preserves. So that the summer deliciousness lasts forever. Including lunch, snacks, and educational material. A shed for our bike! -VIP ride on our bike for 2! So much to carry - but with your help, it will work out! You get 3 shrubs of your choice with your name tag, 12 postcards, the calendar and as well the organic screen printed tote bag! - the electrical upgrade for us! To arrive not drenched in sweat, to look beautiful even when transporting heavy potatoes on a windy day - and you get a fancy schmancy private dinner party for you and up to 9 friends. It includes all the food, drinks and service you can imagine! Adopt a greenhouse! Our two greenhouses are called A and B - how boring! It will carry the name you choose and if you ever come for a visit, take as many veggies from your greenhouse as you can carry! In addition, we'll send you a poster of our farm in full season with a personal thank you letter.